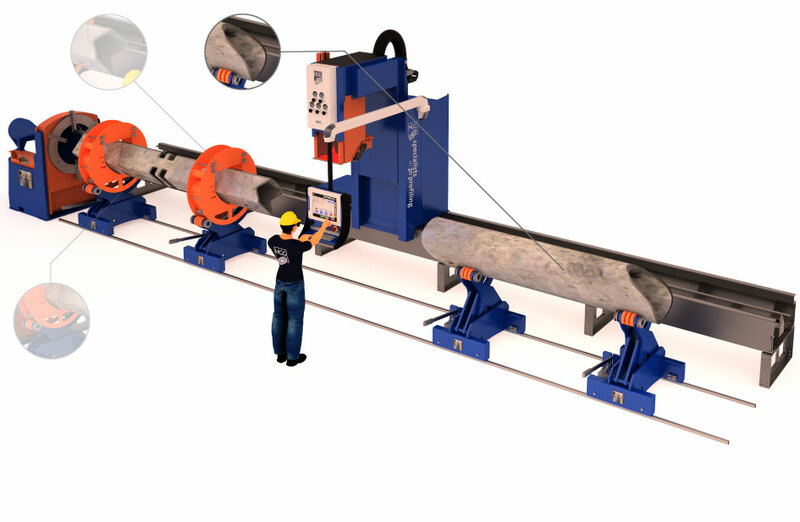 The MPC 450 Pipe and Square Tube Cutting Machine is highly accurate and versatile. It can cut multiple profiles; pipe, flat bar and box cutting. 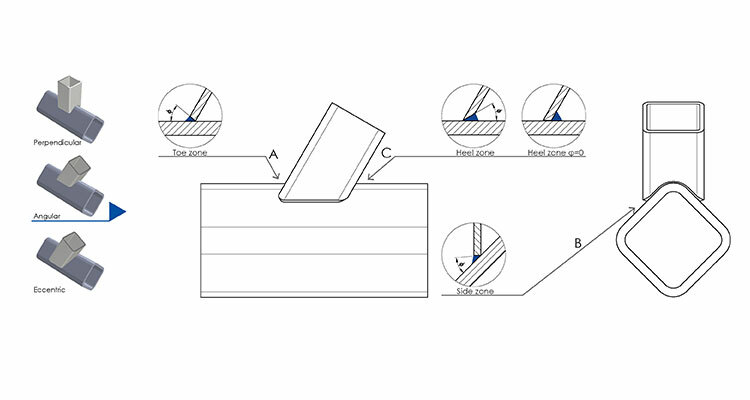 The Multiple Profile Cutting Machine combines the cutting capability of three machines into one machine. MPC software helps you minimize fitting and welding. Unique algorithms are used to create smooth cross-overs between surfaces. E.g. 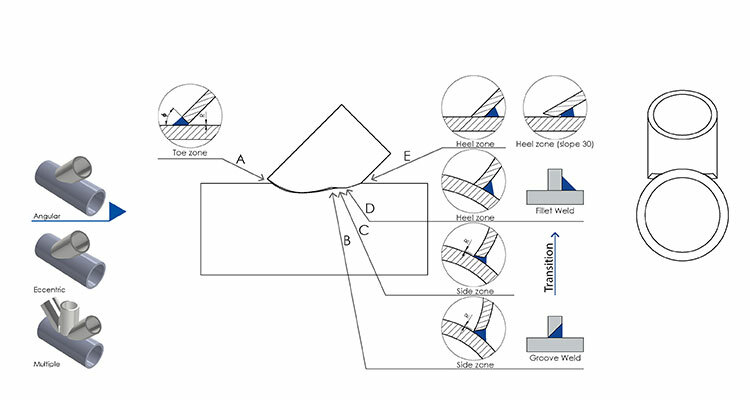 the cross over from the four surfaces of a box section are extrapolated in order to create a smooth weld transition on the four no. radii. 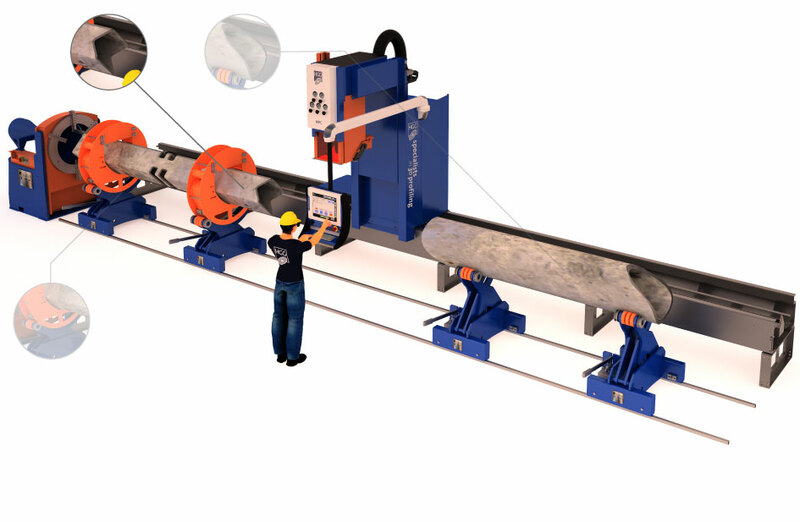 The MPC Pipe and Square Tube Cutting Machine combines measuring and deviation compensation techniques that ensures an excellent fit length. 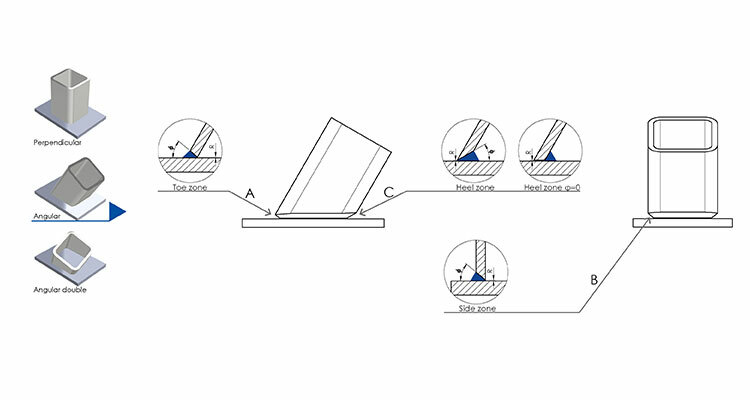 This is a crucial factor in 3D Profiling of boxes for skids, architectural structures, onshore rigs and roller coasters. In less than 20 minutes the MPC Pipe and Square Tube Cutting Machine can be transformed from a cutting machine that cuts pipes and tubes into a second configuration for box cutting and vice versa. 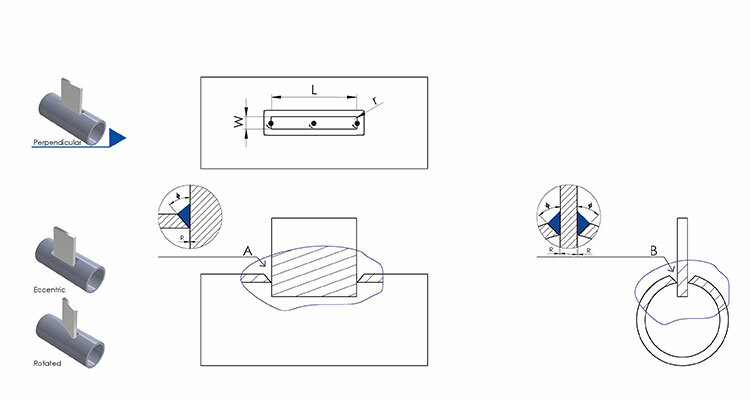 Here is a selection of profiling shapes for realizing connections on pipes and tubes, flat bars and box sections. To connect a box section to the edge of a box section or two plates. A box section to plate connection. What is the greatest concern in fabrication? Is it the complexity of the design, managing production flow, material handling and waste, controlling operating expenses or lack of skilled welders? Then, how do fabricators deal with the ever-increasing demands placed on welded structural design, including corresponding regulations? Material types and volume differ greatly from project to project. The solution to having machines at idle in the workshop is to have one multipurpose plasma cutting machine for pipe and box cutting instead. Traditional cutting methods allow a fabricator to cut only 10-20 tons of steel per day, while with the MPC pipe and box cutting machine one can cut over 40 tons of steel a day. Industry application: pipe and box cutting for stadiums, bridges, theme parks, expo centers, airport structures, shopping malls, cranes, trusses. The MPC Pipe and Square Tube Cutting Machine automates and simplifies the way fabricators maintain welding booths. It also helps fabricators maintain enough spools cut to tolerance, while preventing their skilled welders from wasting extra time on fitting. With the MPC plasma cutting machine for pipe and box cutting a typical header with 82 beveled holes on it, which usually takes around 26 hours to be fabricated, can be fabricated in only 2 hours. Industry application: pipe and box cutting for skids, frames, spools, manifolds, pipe lines, headers lobster backs, boilers, nozzles. Substituting manual work with automated pipe and box cutting is an increasingly popular solution for the tough project deadlines in offshore. Using the MPC pipe and box cutting machine a heli deck made of 95 pipes, usually taking around 240 hours to be fabricated, can be fabricated in less than 40 hours. Industry application: pipe and box cutting for jackets, jack ups, heli decks, support structures, pipe racks, protection frames for subsea manifolds, boat landings. An average of 8 welders working 10 hours a day for 6 days a week are typically needed to fabricate an entire oil rig. With the MPC Pipe and Square Tube Cutting Machine, one machine operator can successfully substitute the work of all eight welders. In this way, skilled welders can focus on what they do best – fitting and welding. Industry application: pipe and box cutting for oil rigs, frames, support structures, pipe racks, skids. Want to know more about our extremely versatile Multiple Profile Cutting machine, MPC 450 | 500–1200?